Well last week was a big day for Scott and I, well really I mean for me….it was my birthday! And no, I won’t be divulging what number birthday it was, but let’s just say I’m over 21, lol. 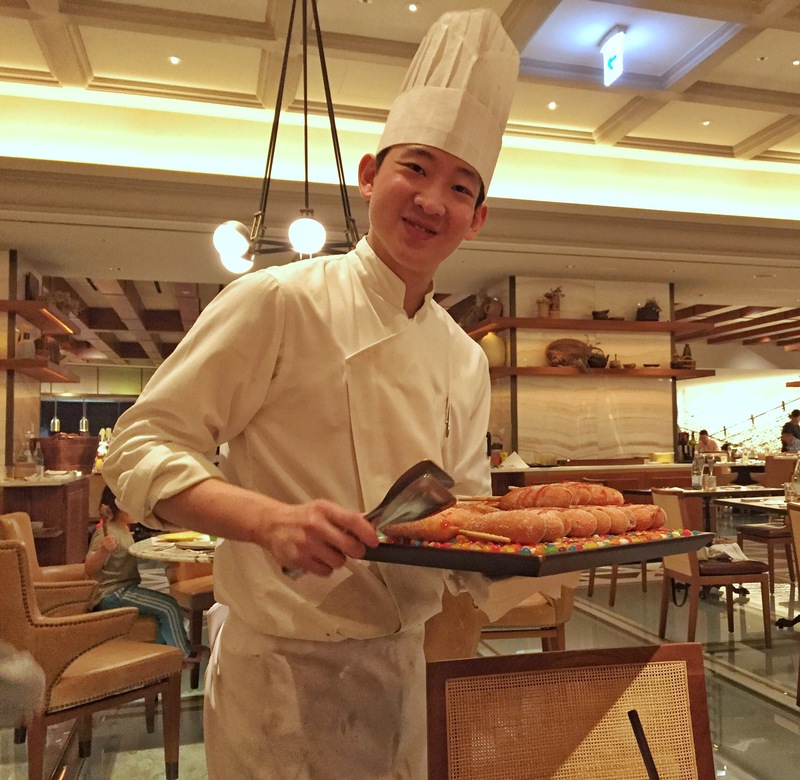 Scott had the great idea for us to visit one of the nice hotels in Seoul and enjoy a fancy buffet. 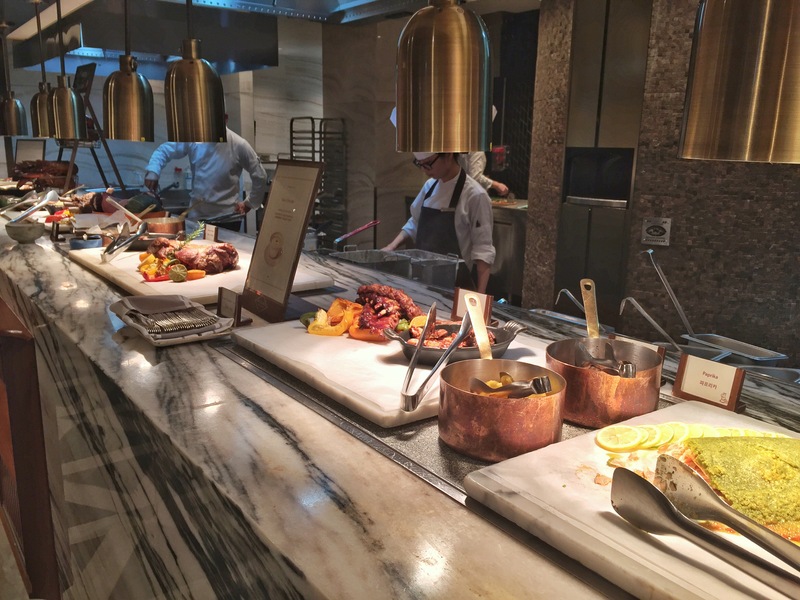 After some research, we decided on the brunch buffet at the Market Kitchen at the Four Seasons. 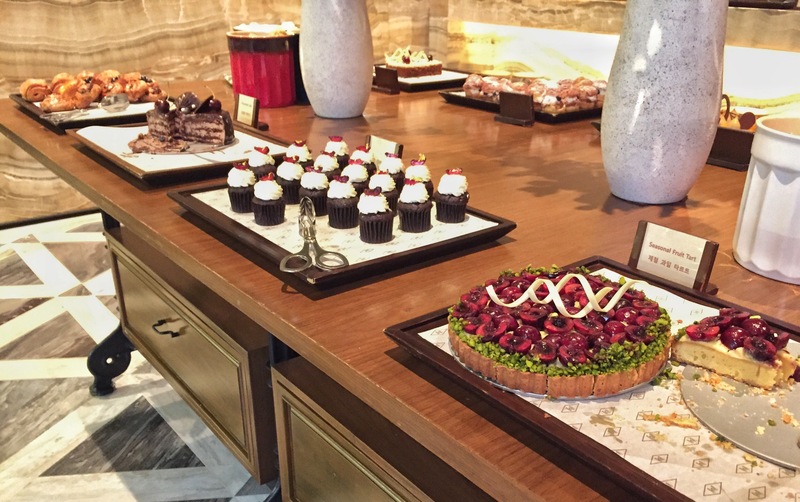 With so many great buffets, you may be wondering why we chose this one over the many other hotels like the Shilla, the Hyatt, the Westin, the Lotte Hotel, I can go on and on. 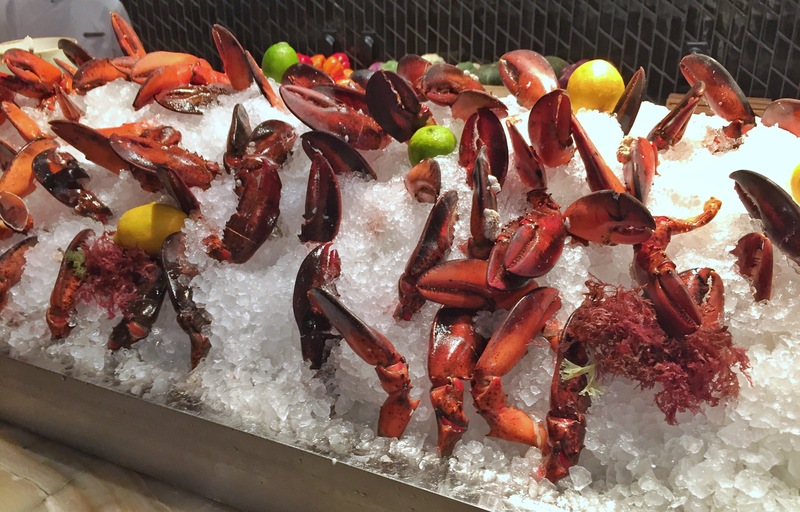 But aside from the good reviews we saw for the Market Kitchen, we decided on the Four Seasons because they have lobster on the buffet! I love lobster, who doesn’t right? 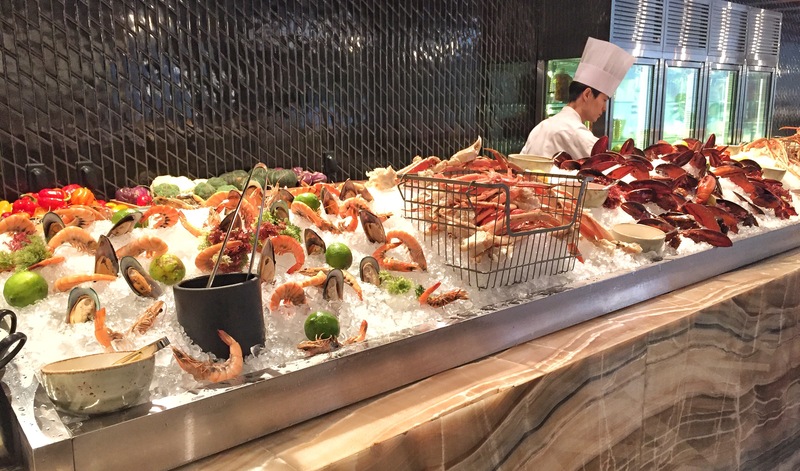 The brunch buffet (including the lobster) and a glass of champagne is yours for the price of 100,000 won. The other great thing is that there is no seating time limit, many of the other buffets in town have a 2 hour time limit. 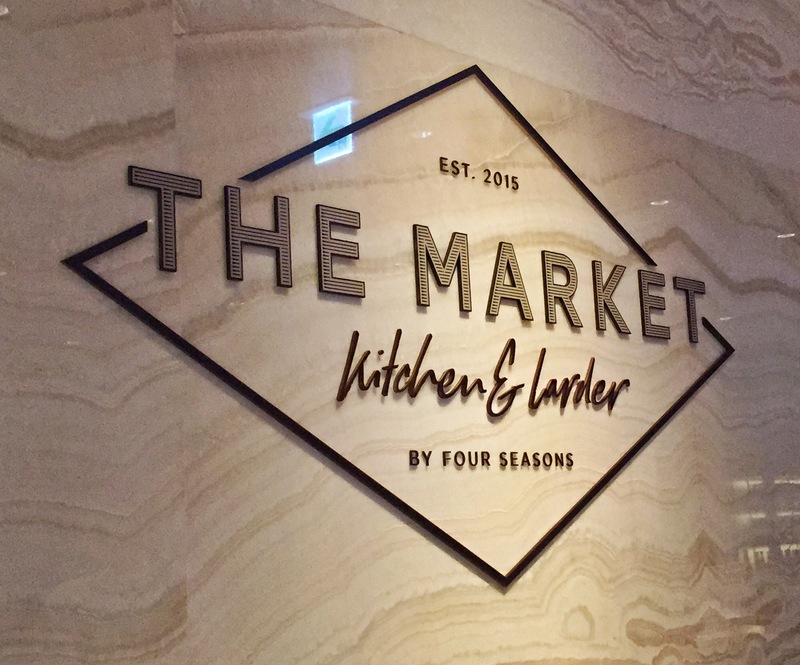 But not at the Market Kitchen! You can dine from 11:30 AM to 3:00 PM and eat to your hearts content, which is what we did! We arrived a little before 11:30 AM for the opening and before we were able to check in, we were face to face with a clown. Yes….I said clown, and many of you may be wondering what the heck a clown is doing at the Four Seasons. I wish I could answer that, I still am not sure, but the clown was definitely working his skills. After our encounter with the clown, we confirmed our reservation and were quickly seated. 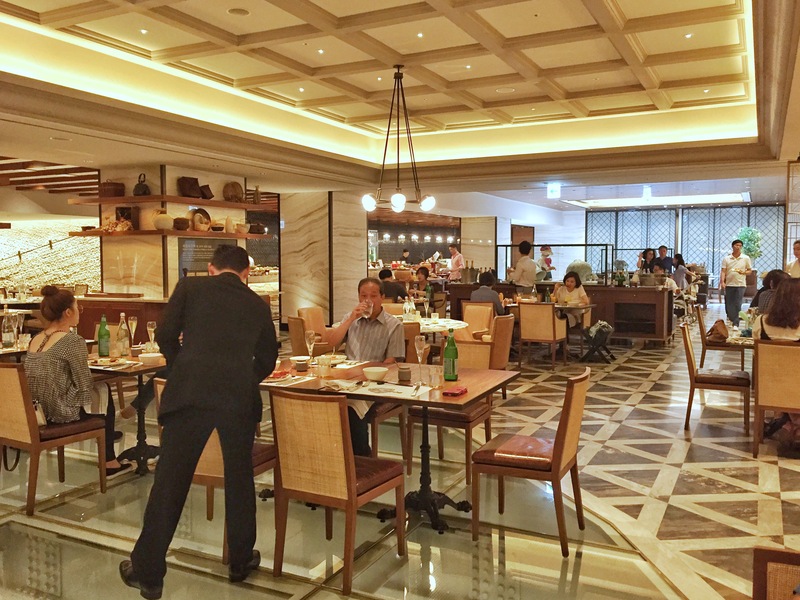 The restaurant is located in the B1 level of The Four Seasons Hotel near Gwanghwamun. the decor is very minimalist, but nice and the space although in the B1 level is bright, due to a nice skylight. The other cool thing about the restaurant is that they have a glass floor where there are some historical artifacts in the ground. Once we were seated, the server came by, he was very friendly and even offered to bring us blankets as we were seated near the A/C vents, then he explained the different stations and took our drink orders. Before we got up to grab out food, the clown was back at our table. This time we found out that the clown’s name was Fiero. Although strange, he was actually pretty entertaining, and ended up making me a balloon flower (which I sadly left behind in the restaurant on accident). We all got a big kick out of Fiero, here’s a sample of his moves! After a quick celebratory clink of our champagne glasses, we were off to the races….or buffet…. 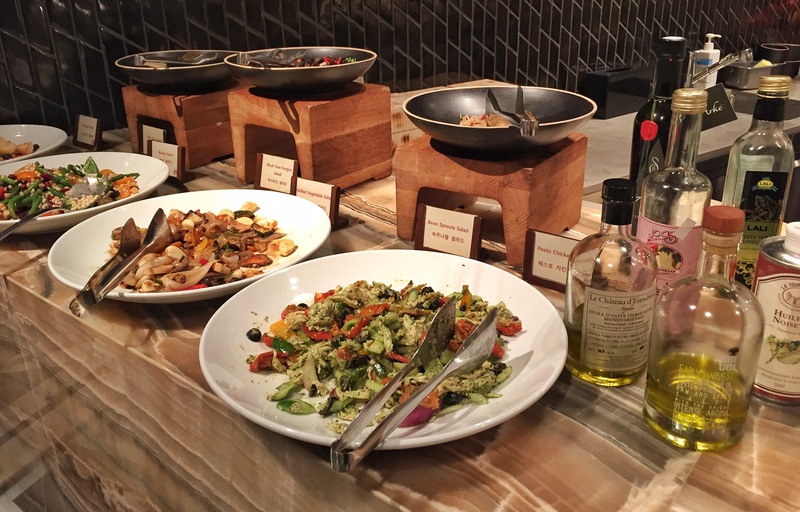 First off, I was impressed by the quality and selection of items on the buffet. I of course started off at the station serving the grilled lobster, and then picked up some prime rib, and lamb chops for Round 1. I then checked out the cold seafood, crab legs, lobster claws and jumbo shrimp and got myself a plate full. 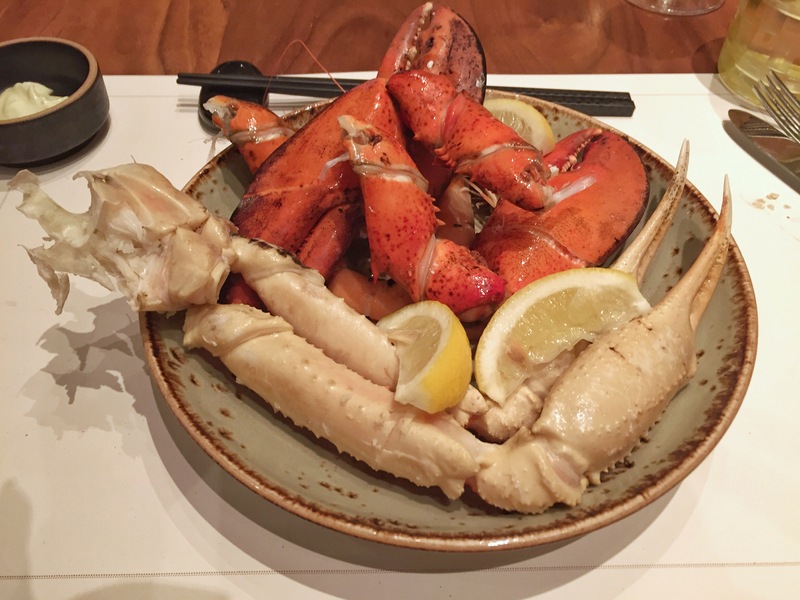 I was happy to find that the crab legs and lobster claws are already cracked, which made it a lot easier to eat (and efficient). 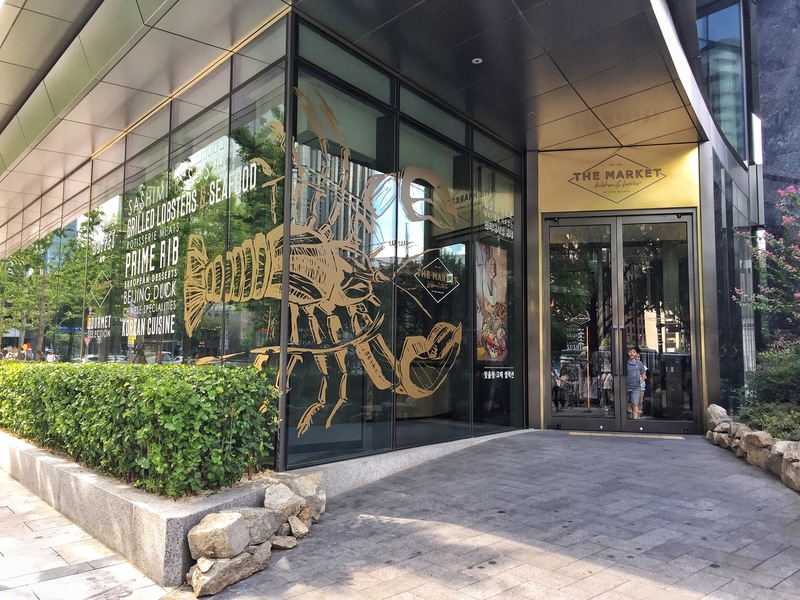 Even though the crab and lobster were delicious, I was super impressed with the shrimp, they were huge and sweet, don’t get me wrong, all of the seafood was awesome. Next to the cold seafood was the salad bar, there were a lot of fresh veggies and a variety of dressings to go along with them. 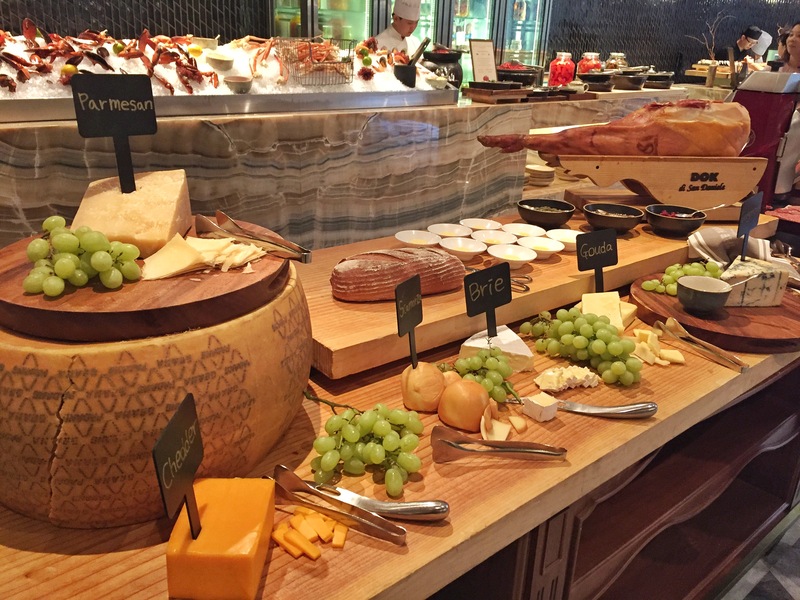 There was also a table dedicated to cheese and cured meats. While we were eating we saw a chef circulating with a tray of corn dogs! Of course I had to have one, they were hot and delicious. Don’t worry they were little ones, so they didn’t take up a lot of room! After I got my fill of the cold seafood, I checked out the Japanese, Chinese, and Italian stations. 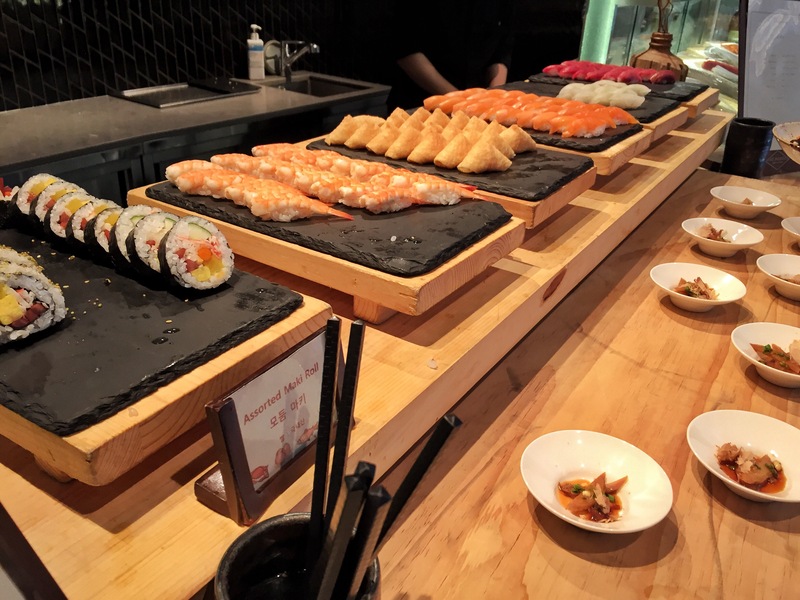 The sushi selection is quite good, everything was fresh and really tasty. 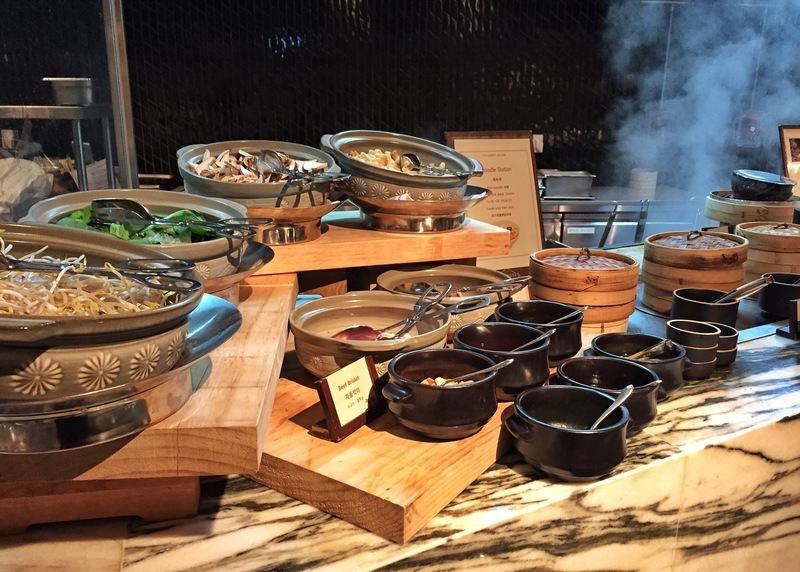 The Chinese food section consisted of some stir fry dishes, dim sum and a soup station. 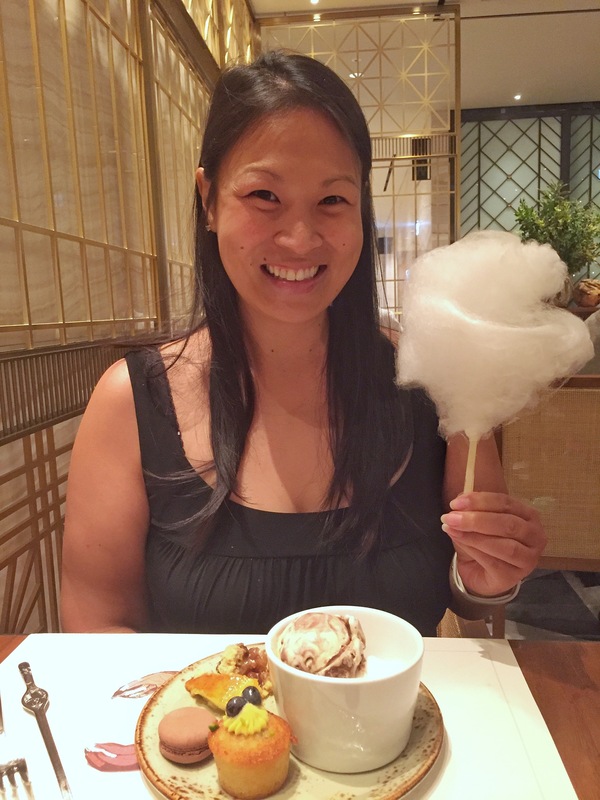 I tried some of the stir fry and the dim sum, but I would say the food there was just okay. I was too full to use up more space on the soup so I can’t speak to that. It looked pretty tasty though, so maybe next time! The Italian section was just a lasagna, but they also have a live food station where you can get a freshly made pasta. You are able to choose your pasta and your sauce. 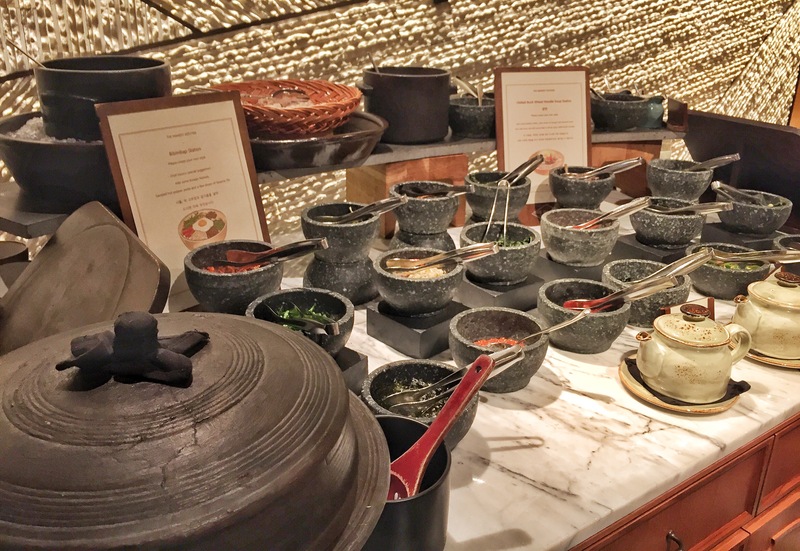 The least exciting area of the buffet was a bibimbap station, i mean seriously, who is going to eat bibimbap when there is lobster, crab, steak, and other goodies. Plus I think bi bibimbap would take too much of the limited real estate in my tummy. 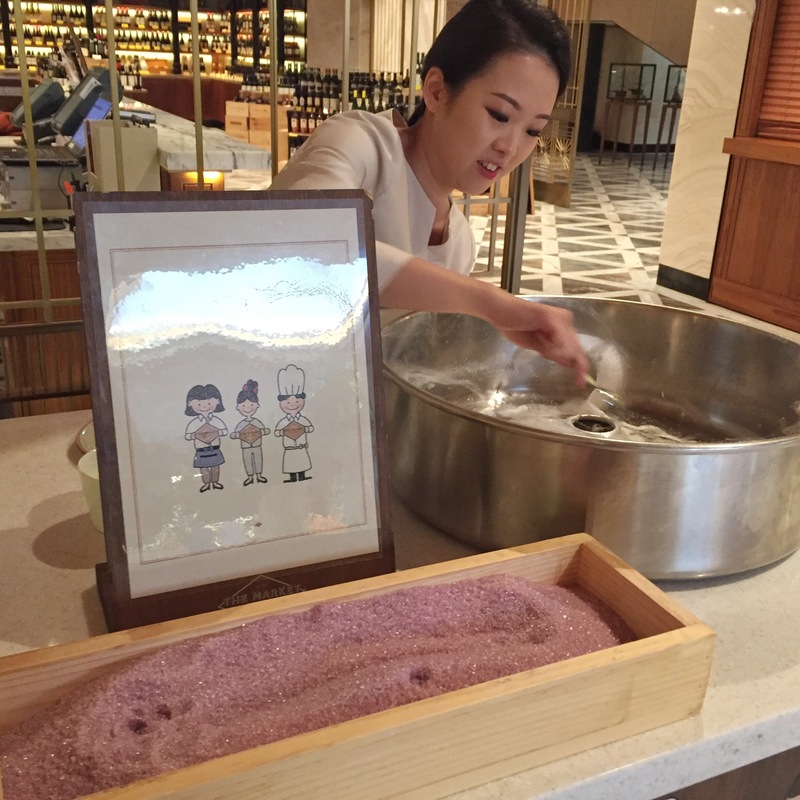 We finished our decadent meal by checking out the desserts, the most interesting thing in the dessert area was the cotton candy station. Yes, I said cotton candy! I honestly can’t remember the last time I got cotton candy, so of course I had to get one. I felt like a big kid…. In addition to the cotton candy, the dessert area had a good variety of different baked goods and fruits. They also had ice cream and sorbets, including some ice cream that they mixed on a marble slab. 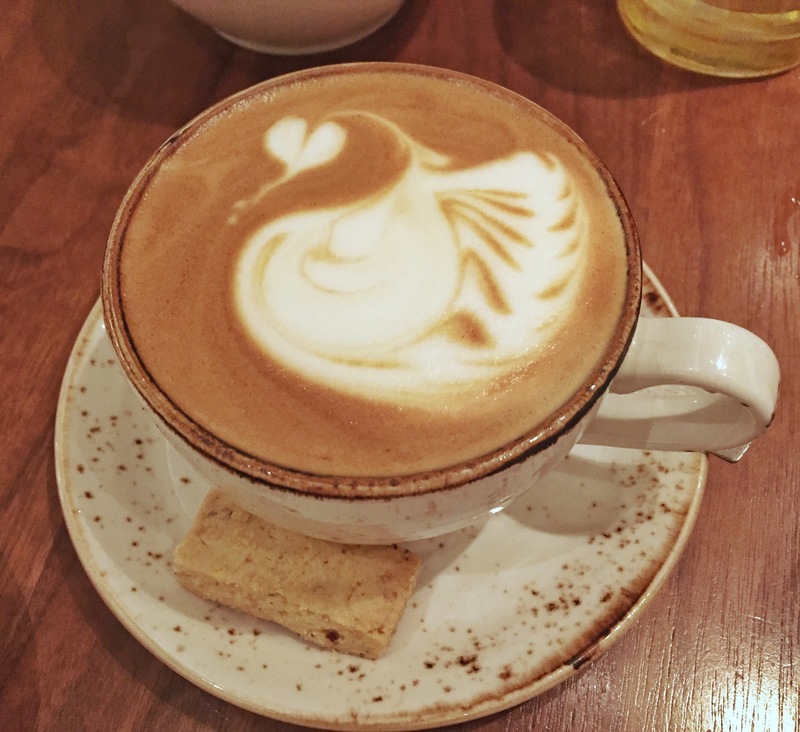 While you’re enjoying your sweets, don’t forget to get a coffee or tea (that is included in the buffet fee), our waiter was such a sweetie and made us a special swan cappuccino, it’s beautiful! We finished a little before they closed for brunch at 3:00 PM, no we didn’t eat for 3.5 hours, but we did rest and enjoy some great conversation and no one tried to rush us at all! The service really was on point; full water glasses, empty plates taken quickly, and just very friendly attitudes. 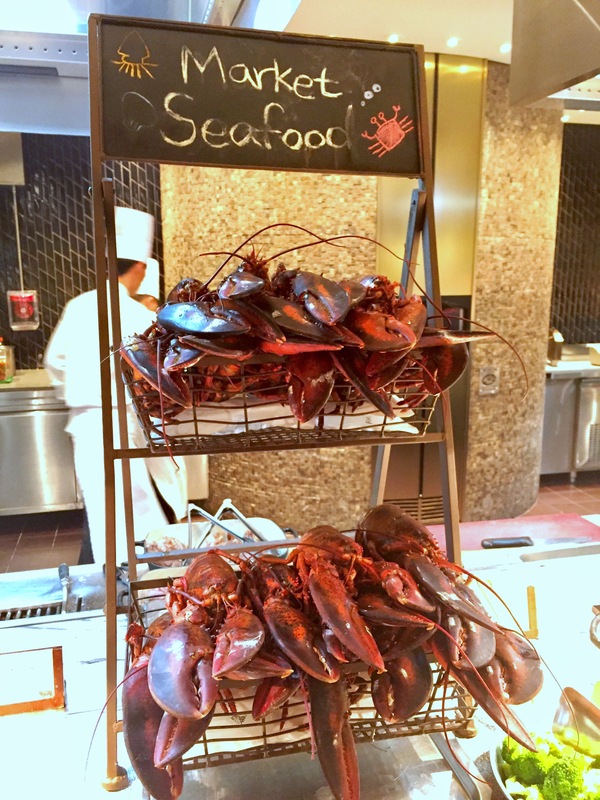 Overall, I was really impressed with the buffet, I know that you can’t love everything on a buffet, but the food quality, variety and flavor was excellent. We are looking forward to our next visit!